How to keep Microsoft Windows 10 from spying on you? 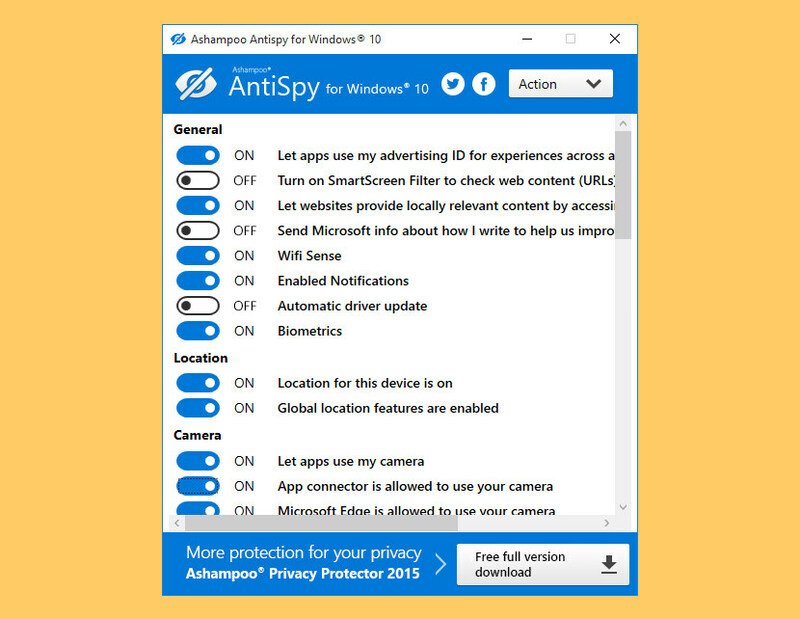 Ever since Microsoft release Windows 10, a popular movement grew out of the privacy controversy, people are afraid of the many tracking features within Windows 10, thus the birth of many “anti-spying” apps have sprung up. They promise to keep Windows 10 from tracking you–but often, they can cause more problems than they solve. I do not recommend you using these tools unless you are certain it won’t effect your work station. Privacy is a far more serious concern than most people realize. Personal data could be used to steal your identity, and your money. It could also allow malicious people to track you or your loved ones and find opportune moments to do harm. Or on a simple level, it could be used to publicize information you just don’t want to be public. In an age where giving up your private info grants you access to some very helpful services and apps, it can seem impossible to protect that data. It is possible though. We’ve compiled a list of key services and apps that help you do just that. If You’re Not Paying, You’re The Product! 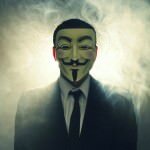 Which is somewhat true, since Windows 10 is a free upgrade for Windows 7 and 8 users, Microsoft needs to find a way to generate income, thus the best way to do that is to monitor the behavior of the users – anonymously. Since Windows has a large installation pool base, tracking which domain is popular means making Bing search engine better. Since Microsoft is forbidden by law to track a person personally, these data are collected anonymously, thus no harm allowing them to do so. Possible problems when using these tools. Blocking Windows Update, making updating Windows impossible and preventing you from patching important security updates, making your computer vulnerable. Possible synchronizing problem with backups, Skype and many more apps that uses the ‘Host Files’ feature. Breaking Windows Store, making it impossible to update apps or verify the license. 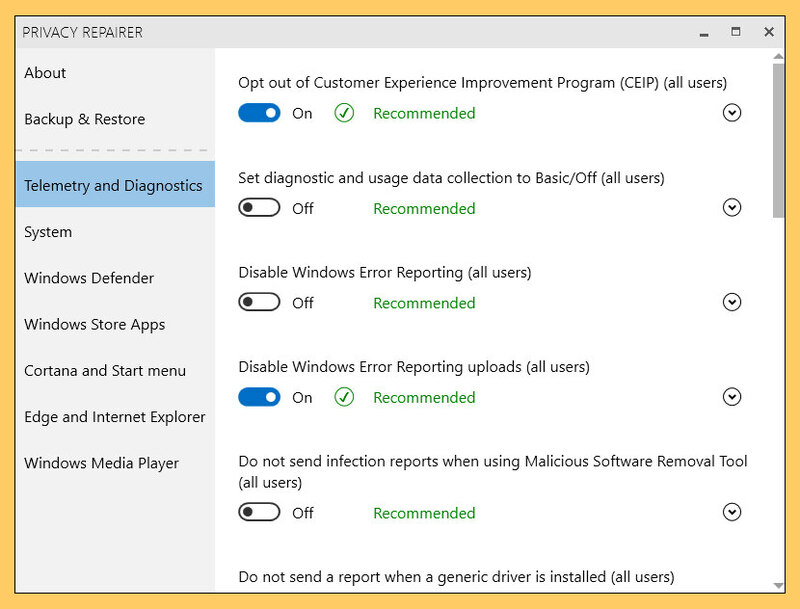 Disabling the Windows Defender antivirus, which helps keep Windows 10 secure, and other system components you may actually want, like OneDrive. O&O ShutUp10 means you have full control over which comfort functions under Windows 10 you wish to use, and you decide when the passing on of your data goes too far. Using a very simple interface, you decide how Windows 10 should respect your privacy by deciding which unwanted functions should be deactivated. 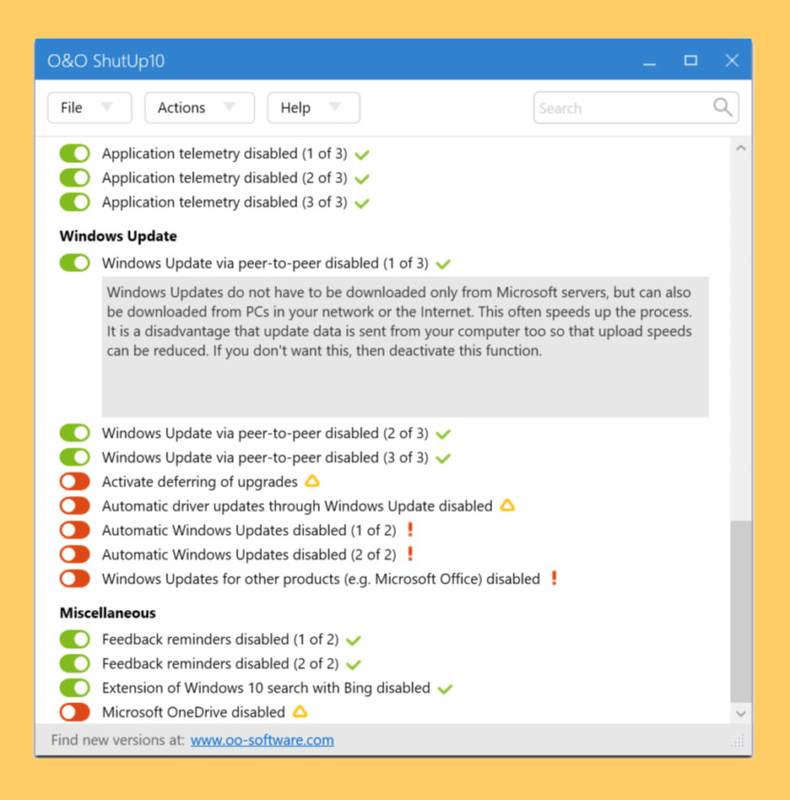 O&O ShutUp10 is entirely free and does not have to be installed – it can be simply run directly and immediately on your PC. And it will not install or download retrospectively unwanted or unnecessary software, like so many other programs do these days! More control over your operating system. The by default highly questionable set options concerning privacy and data protection in Windows 10 brought me to the idea for the development of this little program. Microsoft generously enables everybody to change the concerning settings, but hides them in countless menus, where a normal user does not want to search for! Uses some known methods that attempt to disable tracking in Windows 10 such as Telemetry, DiagTrack Log, Services, hosts-file, IP blocking, Windows Defender / WifiSense, and OneDrive. 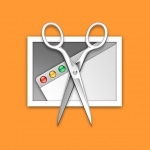 Privacy Repairer is a breeze to use. No need to worry about complex and overblown interfaces, as each option comes with just a simple toggle button! And if you are ever lost, detailed information about every option is readily available. And remember, all changes you make are always safely reversible! 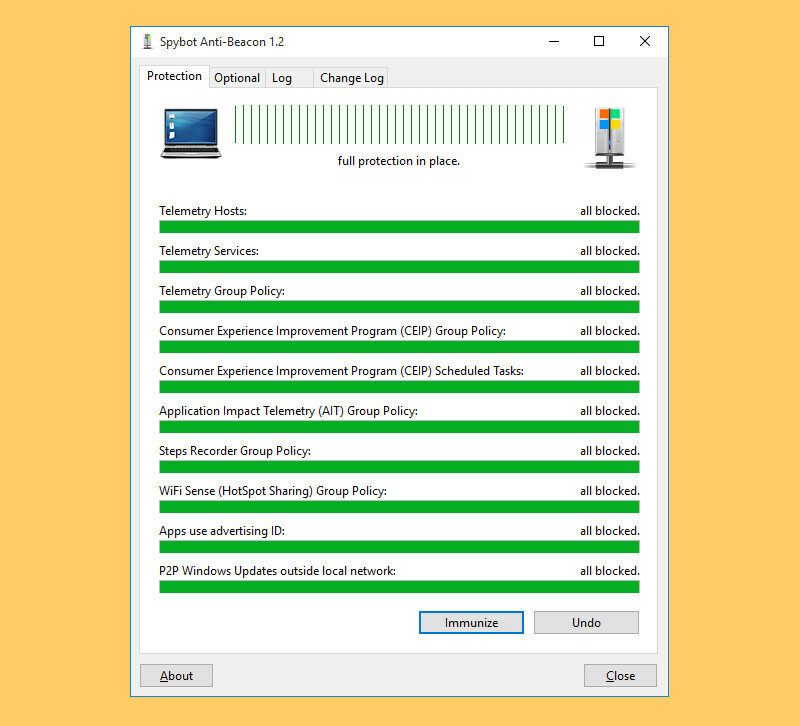 Privacy protection – Privacy Repairer is a tool for Windows 10 designed to protect your privacy. It comes with almost 60 options engineered to carefully modify your system in a way most beneficial for your privacy. Advanced options – Professionals may appreciate advanced options which significantly improve your privacy but may lower your security. For example, disabling “SmartScreen for desktop” will stop leaking what software you download, but may open you to malware as your downloads won’t be checked against an online reputation service. Windows 10 offers many comfort features such as the virtual assistant Cortana that can make everyday life easier for you. To make this possible, Windows 10 has to collect huge amounts of data. It also analyzes user profiles to display user-tailored ads as Microsoft openly acknowledges. So by default, Windows 10 is set to collect more data than many users would allow. Even the recommended express installation later states that: If you don’t want a particular setting you’ll have to disable it yourself. More system control. Even though Windows 10 did bring many of the features users expected of it, such as a Start Menu and revamped icons, it also came with several issues and a very important one is related to its tracking behavior. Destroy Windows 10 Spying is one of the many applications that aims to solve this problem. Features. Add spying domains to hosts file! Spybot Anti-Beacon is a standalone tool which was designed to block and stop the various tracking (telemetry) issues present in Windows 10. It has since been modified to block similar tracking functionality in Windows 7, Windows 8 and Windows 8.1 operating systems. 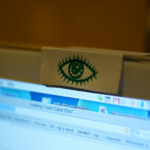 Anti-Beacon is small, simple to use, and is provided free of charge. It was created to address the privacy concerns of users of Windows 10 who do not wish to have information about their PC usage sent to Microsoft. Simply clicking “Immunize” on the main screen of Anti-Beacon will immediately disable any known tracking features included by Microsoft in the operating system. Guys all those tools are NOT ENOUGH without a REAL firewall. I use Netlimiter and NOTHING, even lowest OS stuff cant get into internet without approval. Hey!.. :) Netlimiter is (certainly!) one option, but for something more manageable (and free!) there’s the COMODO Firewall, which *can* be configured to run great IF (& only if!) it is switched to -fully- manual mode – nothing “cloud”! ^^ It’s no good out of the box, it *does* take some configuring and understanding to use.